The Moors controlled most of present day Spain from the 8th–15th centuries. They introduced almonds, citrus fruit and rice, as well as the irrigation systems necessary to grow them to the Iberian Peninsula. Tomatoes, potatoes, and chilies—items common to today’s Spanish and Moroccan cuisines—had not yet been introduced to European diets. I am making a Moorish chicken for Sunday’s sinner and I decided that a tabbouleh would be a good side dish. I came upon a recipe for Iraqi barbecued chicken and I wanted some Iraqi side dishes to go with it. 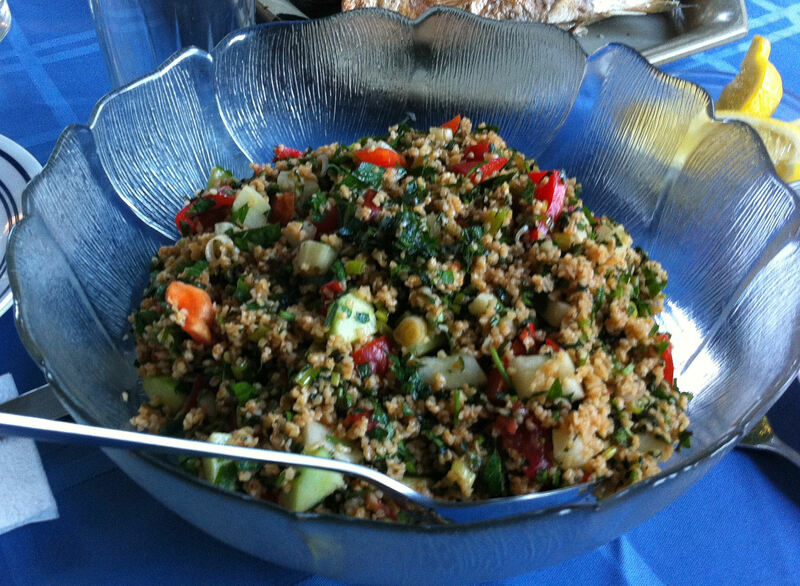 I found a recipe for Iraqi pickled vegetables and another for Iraqi tabbouleh. Just about every country in the Middle East has a variation of this salad of grain, parsley and mint dressed with lemon and oil. Other additions to the basic elements can be tomatoes, cucumbers, red or green onions, olives, and for the Iraqi version pickled artichoke. Ezo galin soup is a Turkish dish that comes with its own mythology. I was attracted to the recipe because of Jan’s dietary restrictions. Her oral surgery is healing, but she cannot eat solid food. 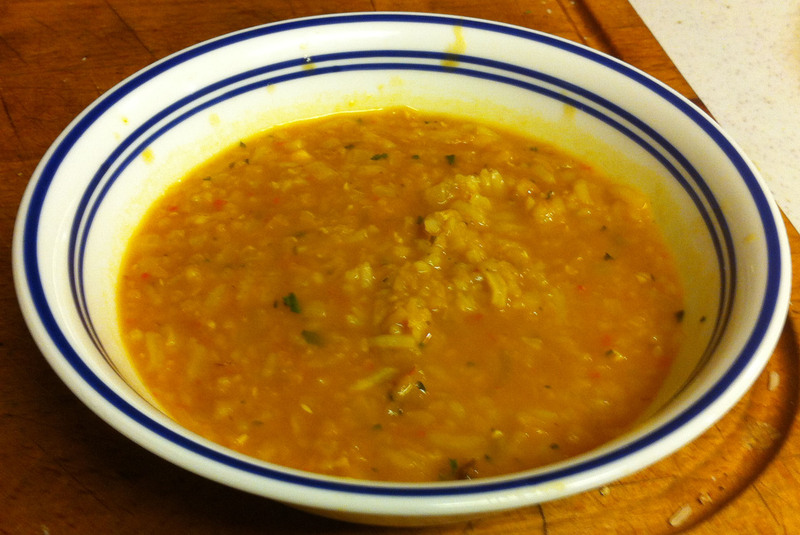 Cooked bulgur, lentils, and rice seemed like just the ticket for a dish that was soft, but not blended into baby food. 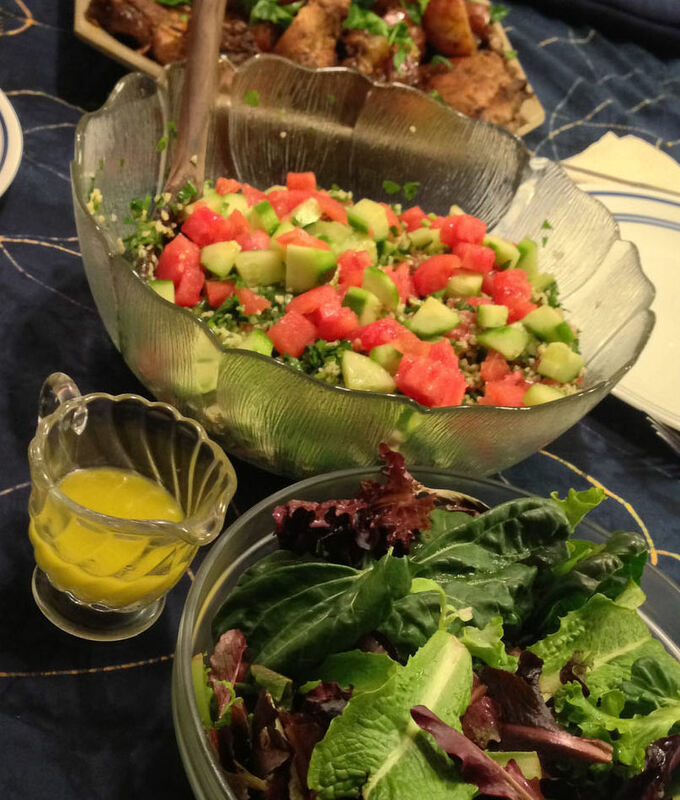 I have been making Lebanese tabouleh for years. However, today I am making Turkish grilled fish and I got to thinking; Do Turks make this classic salad differently? The answer is yes. Long before you could easily find recipes on the Internet The Complete Middle East Cookbook by Tess Mallos is my go to book for Middle Eastern cuisine. Like many of my best cookbooks I bought this one at a library discard sale. It had seen much use before I bought it 25 years ago, but as tattered as it is, it has some great recipes in it. I have made a few changes to her recipe over the year’s but not as many as I make to other dishes.